Beginning with the most popular genetic variety among their users, Mataro Blue, Kannabia’s team has explored creating a cross rich in CBD, with the aim of achieving one of the best genetic varieties on the market. The result obtained after crossing Mataro Blue with CBD-rich genetics is Mataró Blue CBD, with a CBD/THC ratio of 1:1.5. This plant is short in height with many ramifications. Its leaves tend to have a bluish tinge. 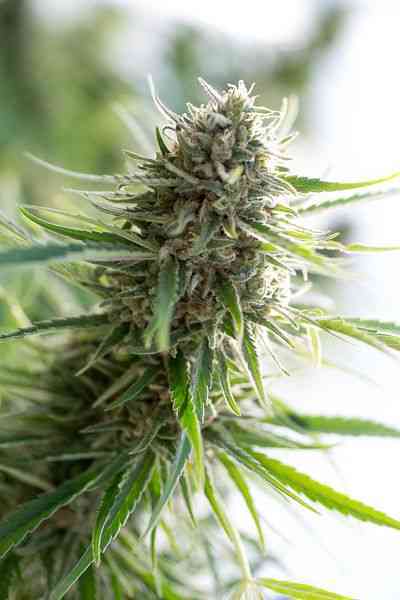 When flowering it produces large amounts of resin and exuberant buds with plump, hard bulbs. The flavour is earthy with notes of old wood, similar to oak casks. Its effect is intense (not forgetting its origin from Afghan genetics), calming, good for users in pain, and perfect for day-to-day use.